If your garden only looks great at select moments, there are many fun ways to add interest and direct the garden visitor's eye any time of the year. 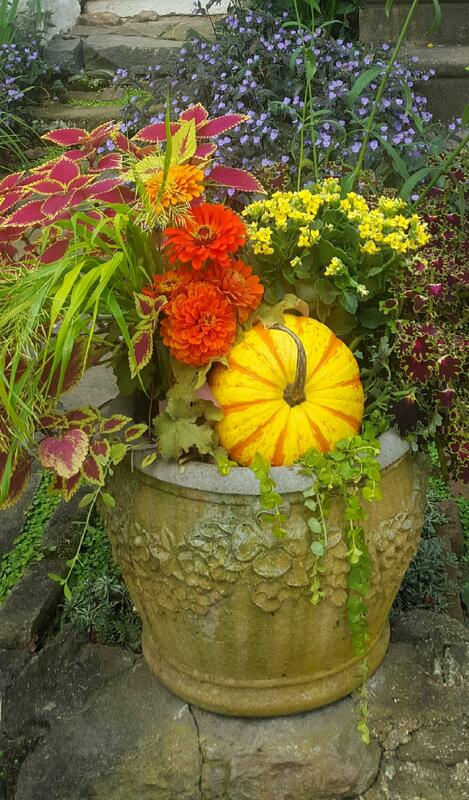 This onsite workshop led by member Eric Sternfels offers a presentation and demonstrations of how to use containers, sculptures, even fallen branches and other mobile items, to enhance the beauty of a garden throughout the season. Principles of composition will be introduced in conjunction with skills often associated retail merchandizing or real estate staging to add a "Wow!" factor to your garden. After an hour presentation at Northwest Philadelphia’s Ned Wolf Park, in the Mt. Airy neighborhood, the group will walk 2 blocks to visit the spectacular garden of HPS Member Syd Carpenter who helped coin the term “Buffaloing” in homage to the annual Garden Walk Buffalo, where much creatively uplifts urban gardens. Walking one more block, the Weaver’s Way Co-op can provide many lunch options or BYOL. We hope attendees will then return to enjoy a lunch together back at Ned Wolf Park for discussion.